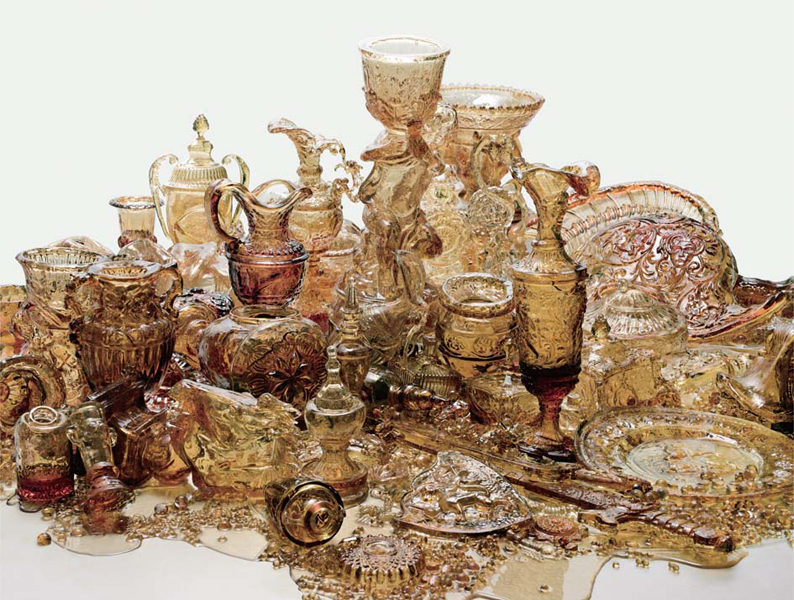 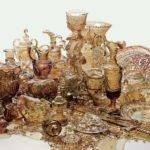 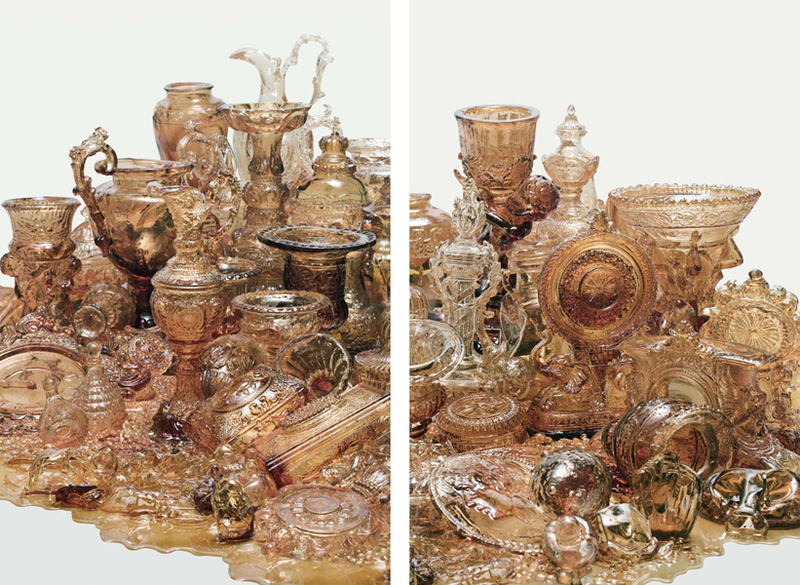 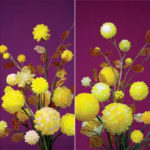 Koo Seong Youn is renowned for her still life photography reorganizing her imagination with objects in our ordinary life. 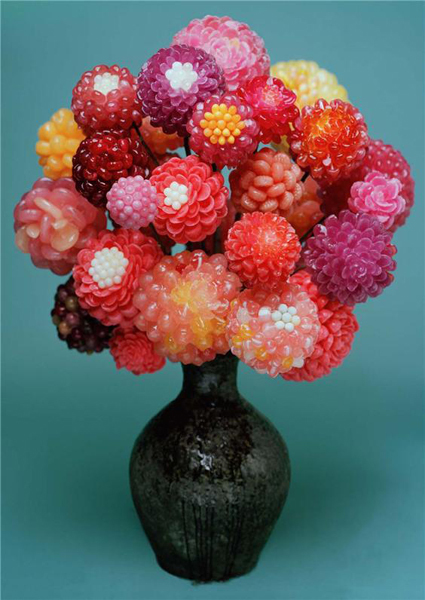 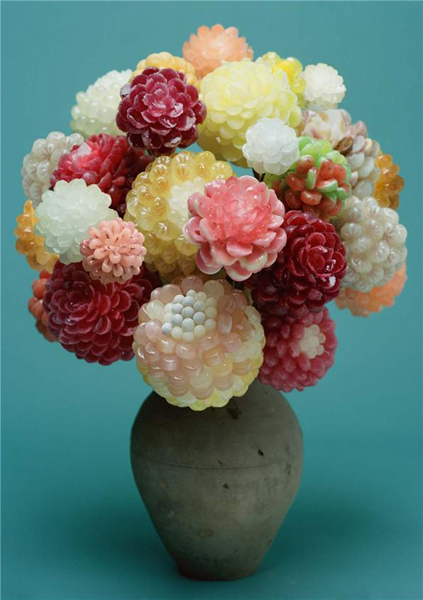 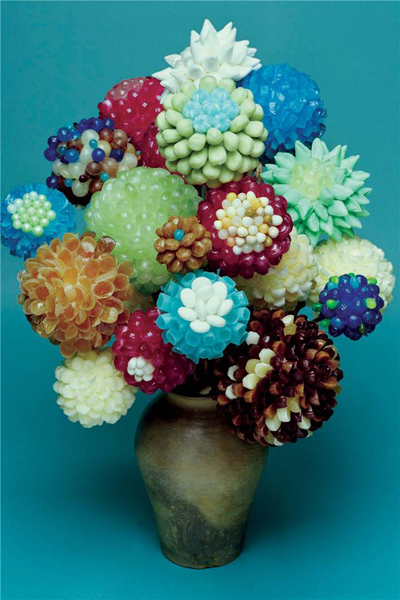 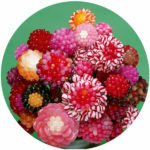 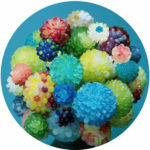 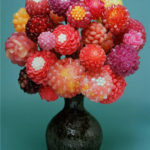 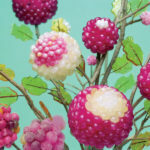 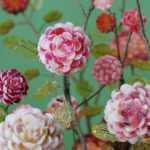 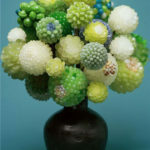 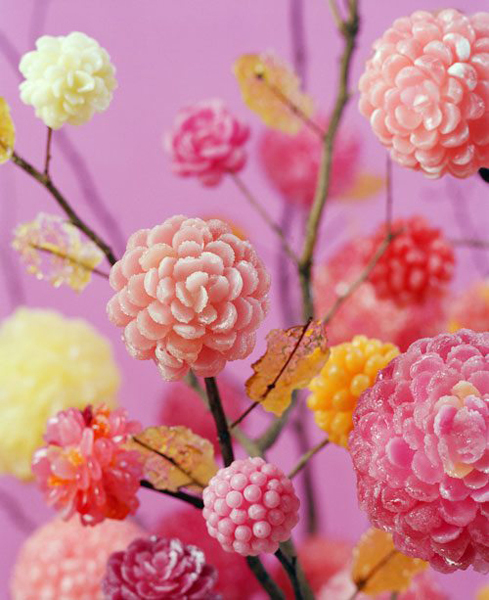 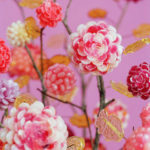 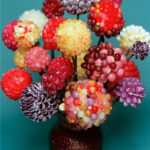 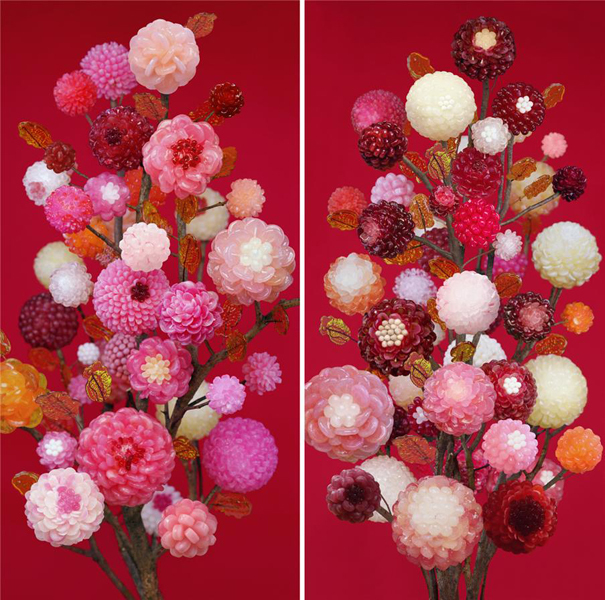 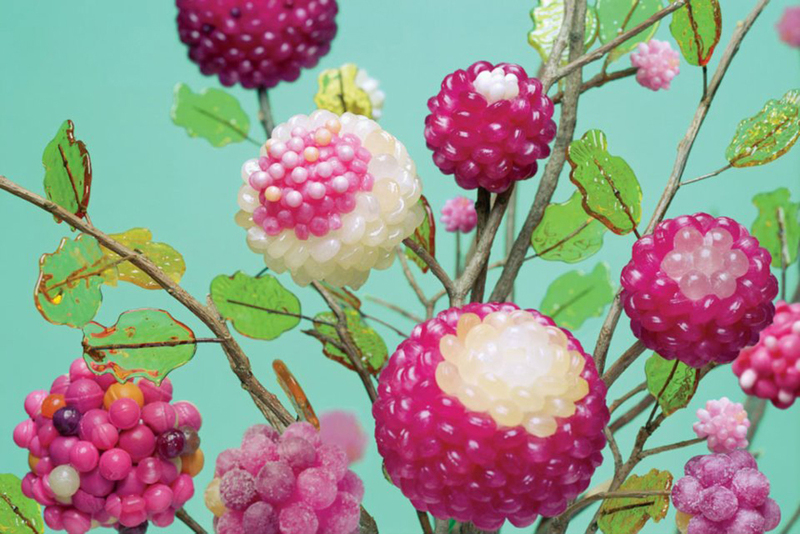 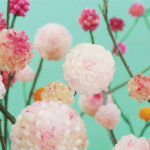 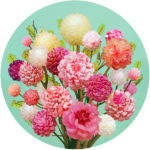 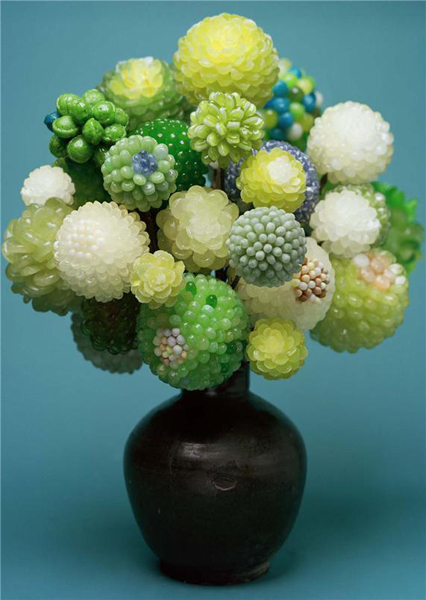 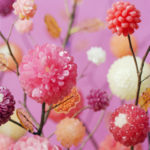 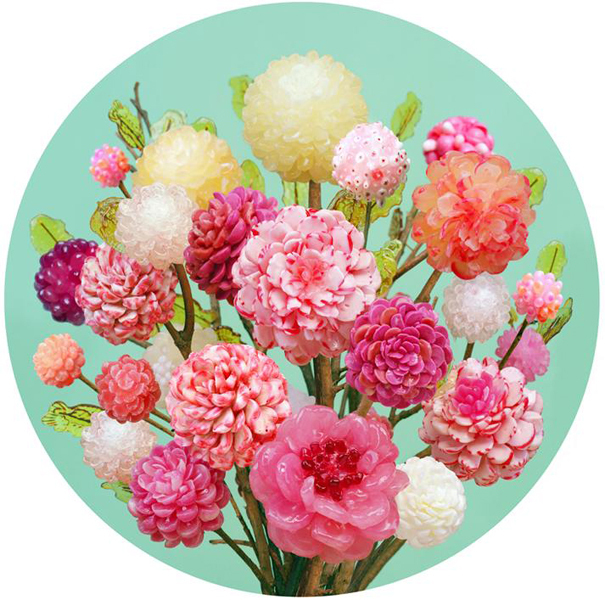 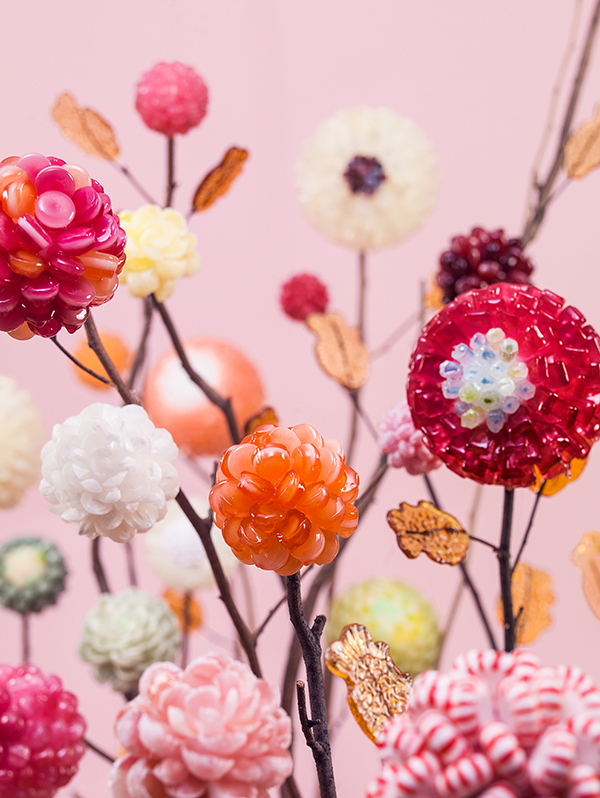 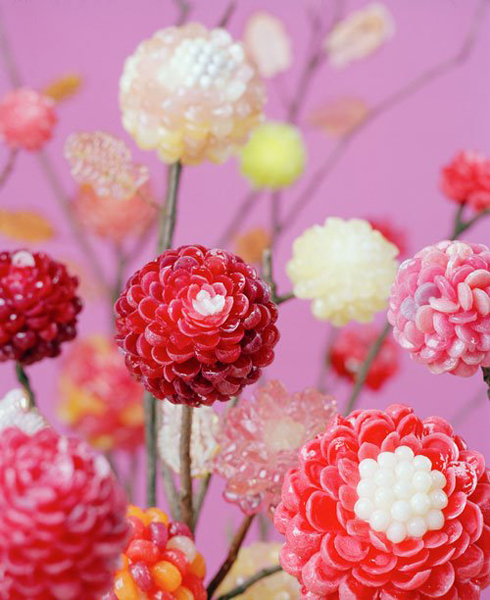 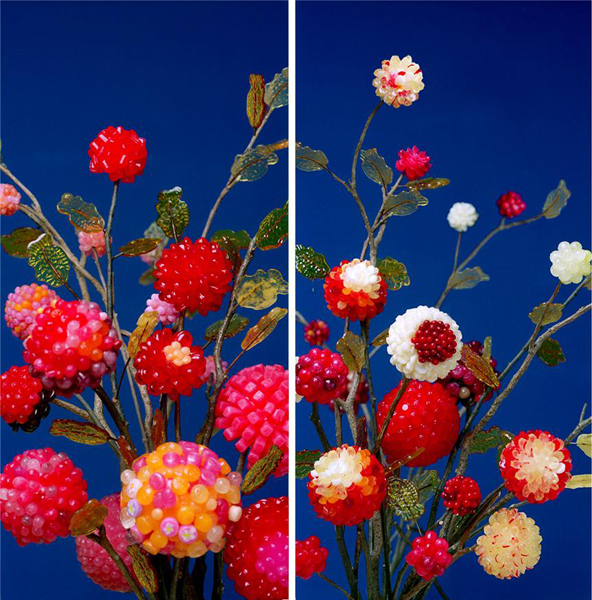 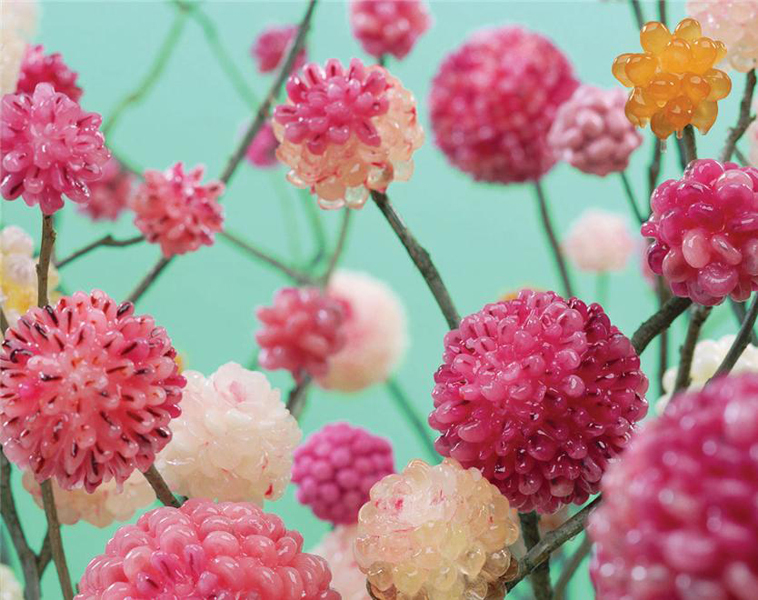 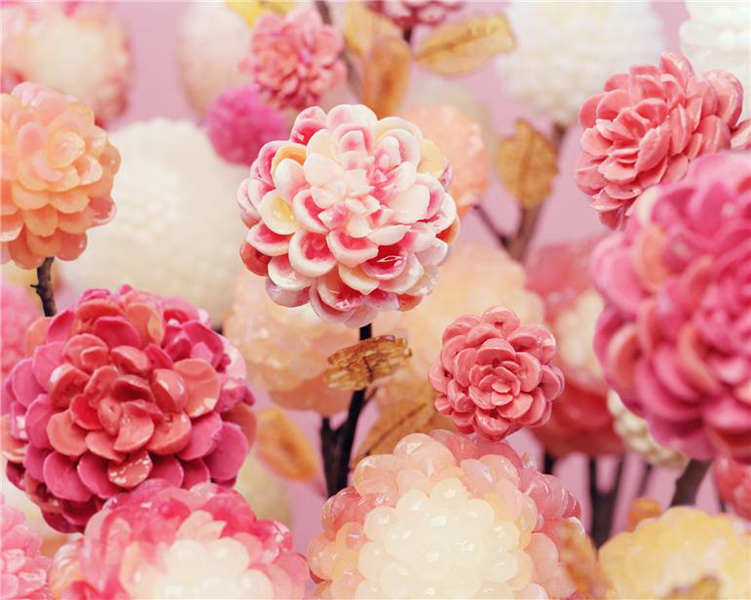 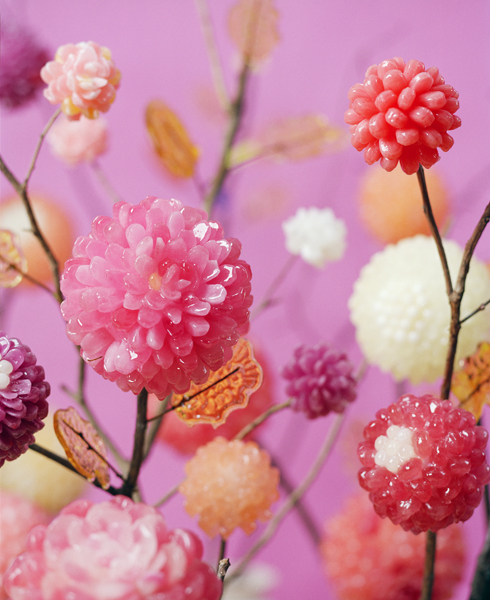 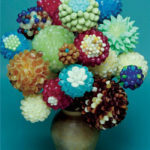 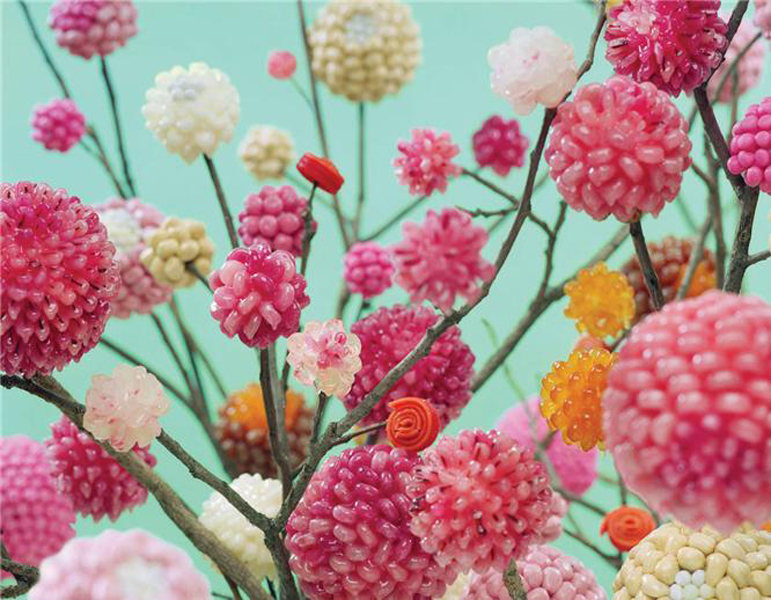 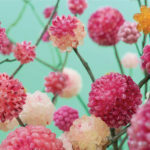 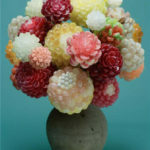 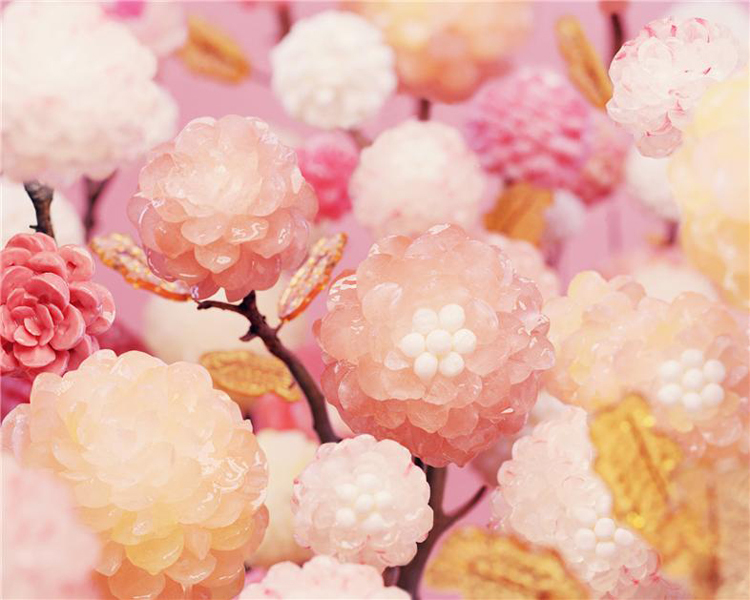 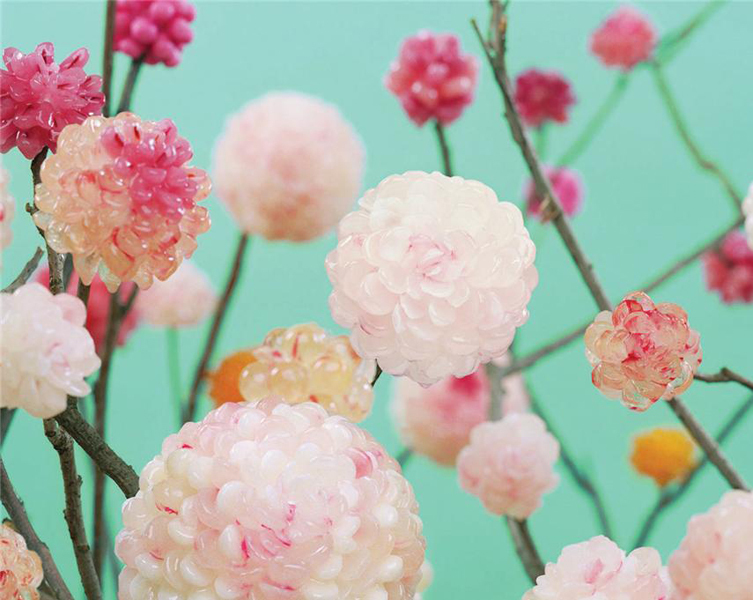 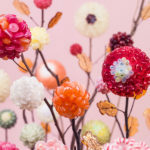 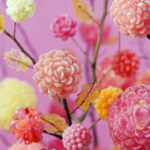 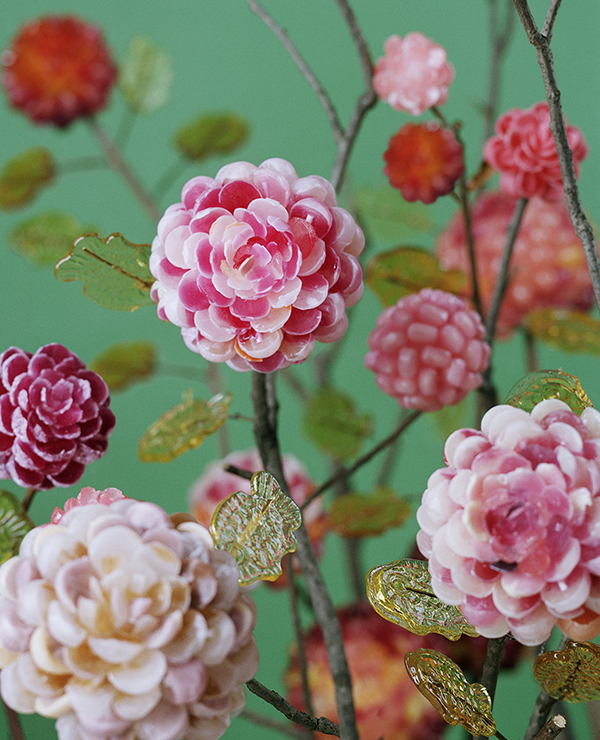 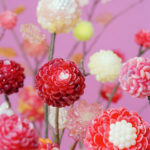 Her ‘Peony’ reborn as sweet candies of different shapes and colors will attract audience’s attention. 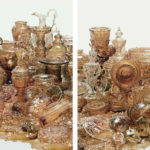 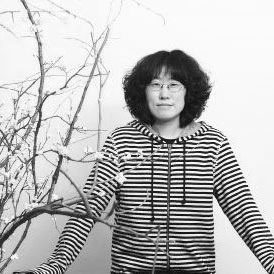 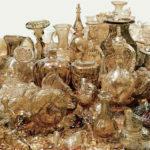 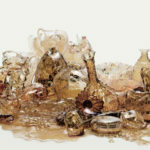 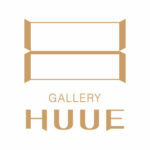 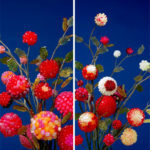 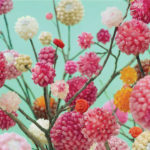 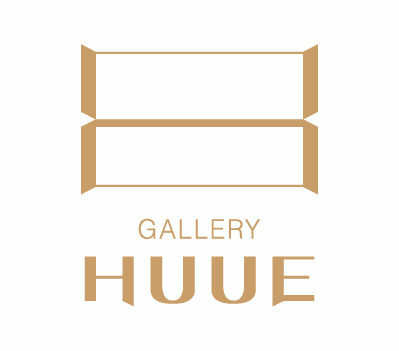 Her photography is beloved by many through various art fairs and art galleries in and out of Korea. 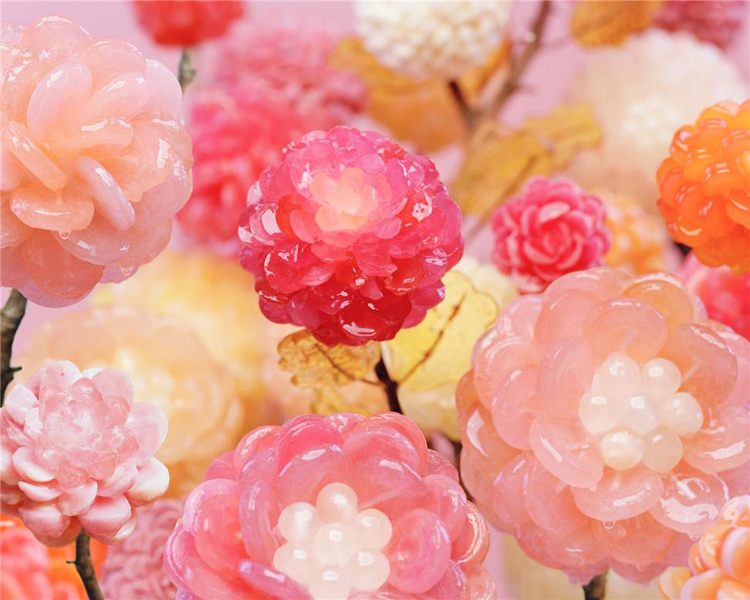 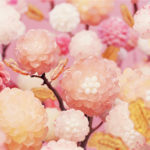 <Candy> series derives its motif from the peony folk painting.Peony is known as symbol of wealth and honour. 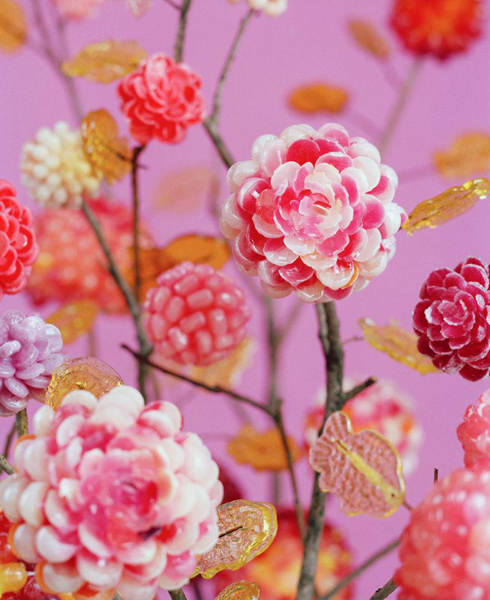 Thus folding screens of peony have been set up in the wedding hall or banquet hall. Small painting of peony was hung on the wall of newly-married couple’s room. 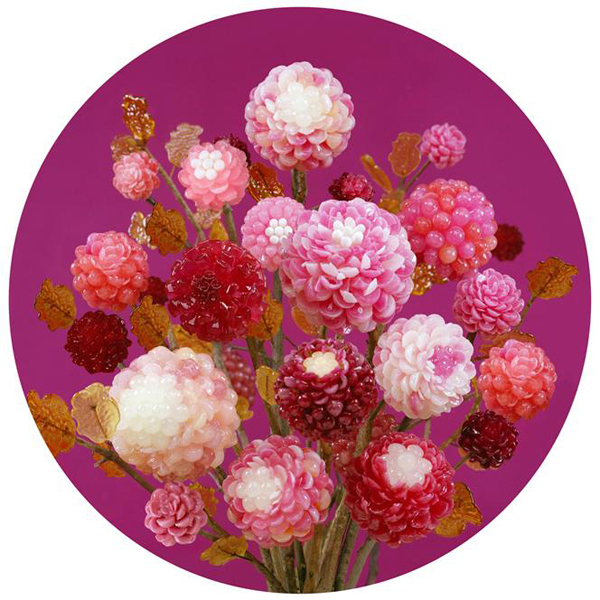 In the past they might prayed for prosperous things to this splendid flower painting. 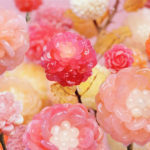 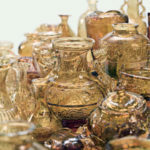 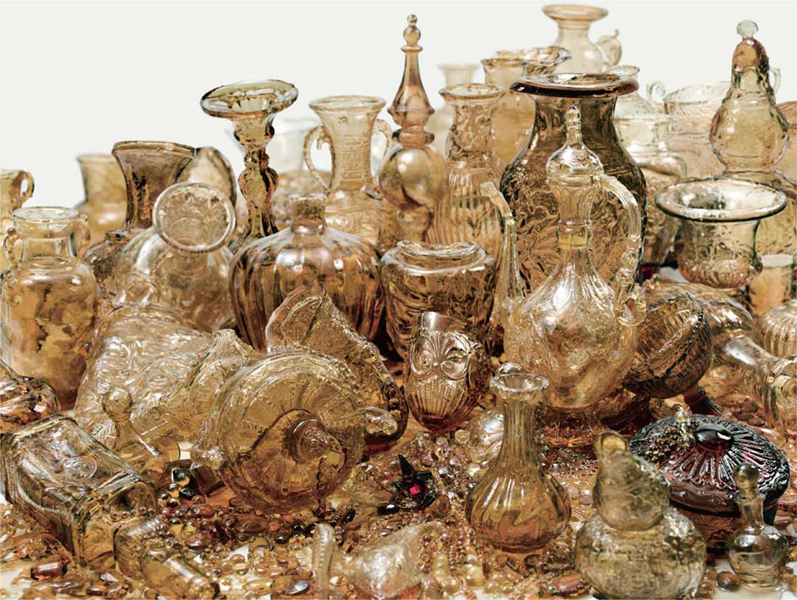 Now they seem to be very naive when they depended on not a strong and timeless object like gold or sun, but on the transient flowers, as even though they are very dazzling and beautiful in full bloom, they soon disappear without any trace. 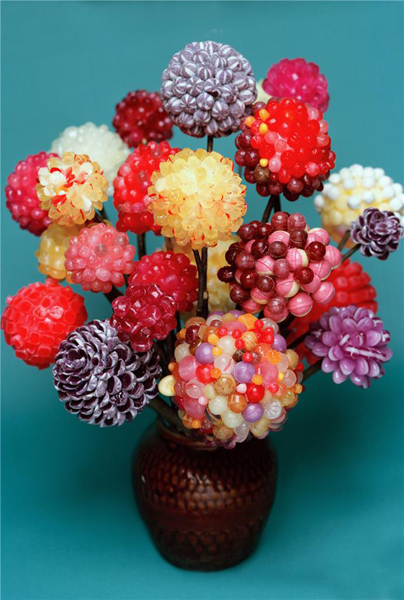 Secular accomplishment, like momentary sweet but shortly melting candy in the end of the tongue, is actually futile. 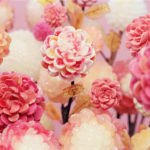 But I hope the wishes to be accomplished to the affirmation about the present that is spread in front of us, not to be the unavailing desire about unpossessed things. 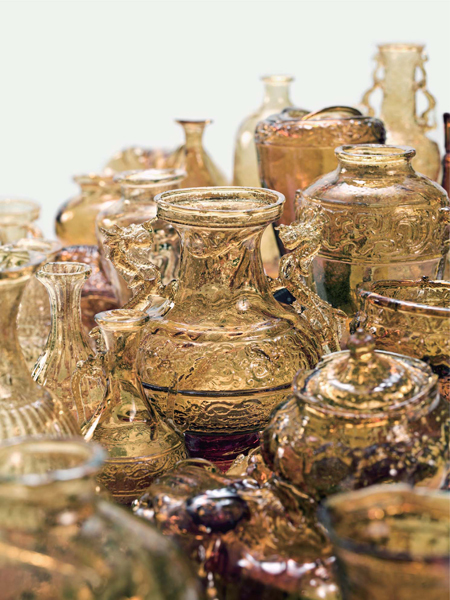 National museum of Contemporary Art, Art Bank.